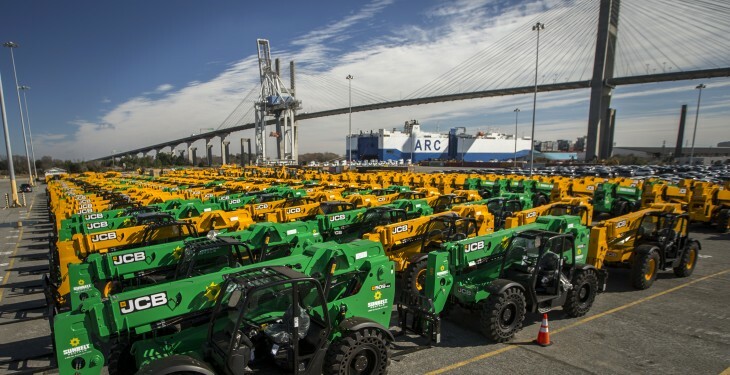 Some of the 341 JCB machines that landed in the US recently. 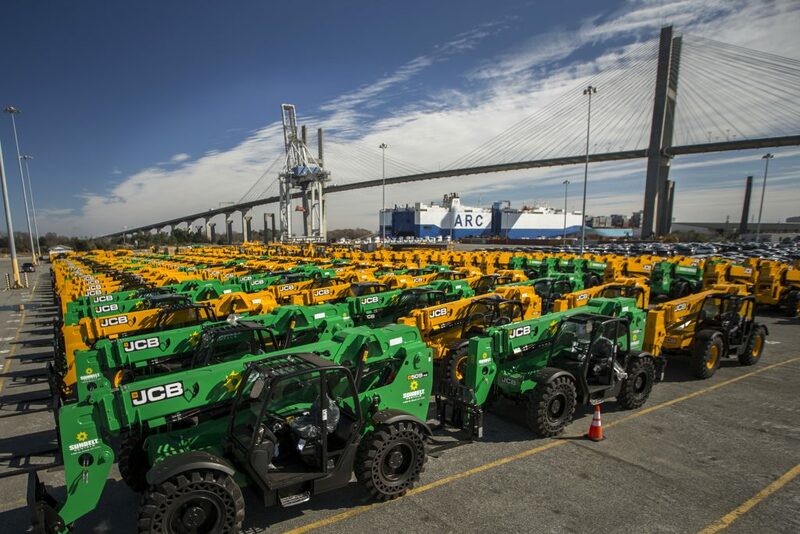 JCB has received its largest single vessel shipment of 341 machines to the Georgia Ports Authority from its machinery manufacturing facility in the UK. “This recent shipment represents more than $30m of construction and agricultural equipment, demonstrating JCB’s continued growth and investment in North America,” said Ken Bianco, Vice President of Commercial Operations for JCB North America. “Despite the decline in many construction markets globally, the North American market remains buoyant with our core, end use markets growing by over 11% in 2014 We view 2015 as a critical ‘step change’ year in which we seek to accelerate growth in the US, Canadian and Mexican markets. Carrier Wallnius Wilhelmsen delivered the new machines on the vessel ‘Honor’ directly from England on January 19. “As JCB celebrates 15 years of business in Savannah, shipments such as this continue to show our investment and dedication to growth in North America”, said Arjun Mirdha, President and Chief Executive Officer of JCB Inc.
JCB manufacturers over 300 different machines from 22 plants on four continents including the UK, India, Brazil and the US.